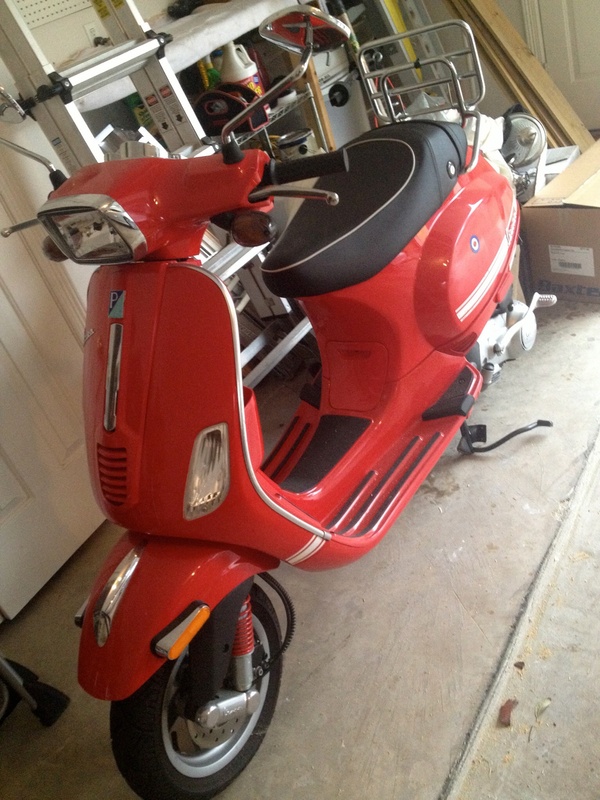 Stolen from my driveway in Jamaica Plain. 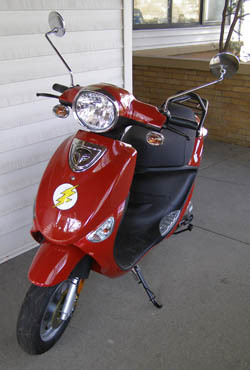 The scooter was chained and locked down inside of a white Econoline E250 Ford van that was stolen from a business complex where Semifreddi's Bakery resides. 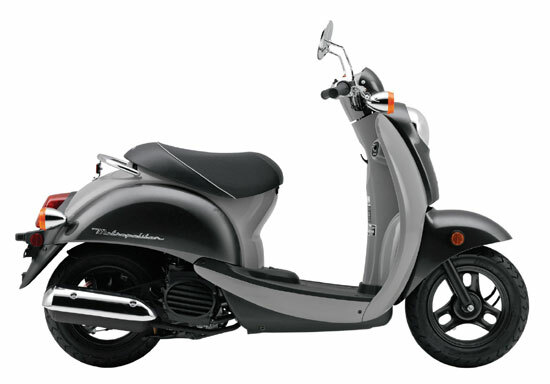 The light system on scooter is not functioning. Stolen from W. Rosemary Street. Please help. Right brake handle is broken so only 1/2 handle remains.Scratches on right side mirror. 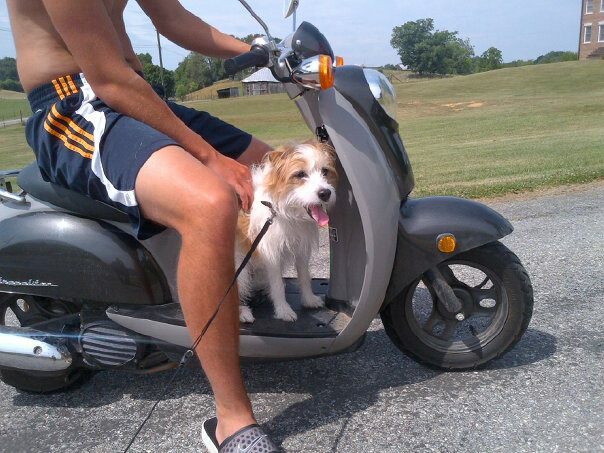 scooter was chain up and lock when stole. the trunk has working LSD lights, crash bars and custom made windshield. 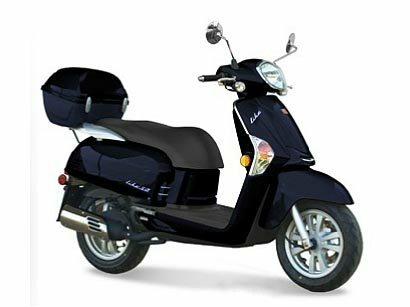 The scooter, at time of theft, had neither side view mirrors & had a black helmet and HotFinger gloves in the seat compartment. Has a windshield attached now. Also had a helmet with communication piece attached to it in the top case. Stolen between 9pm 4/24 and 6:30am 4/25. Has white trunk, thieves did NOT get the bill of sale, I still have it. Missing quick access plate in front of seat. Flat tire when stolen. Has scratch on side of bike. 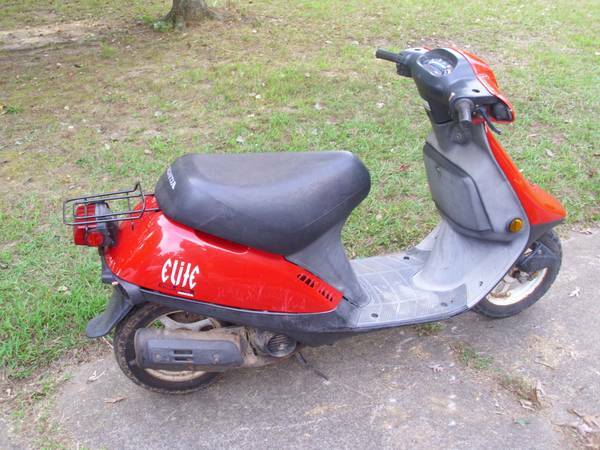 Has a different ignition in it because stolen before. Back tail light smashed. Charger was inside storage compartment. Has new battery in. Horn doesn't work and is starting to rust. 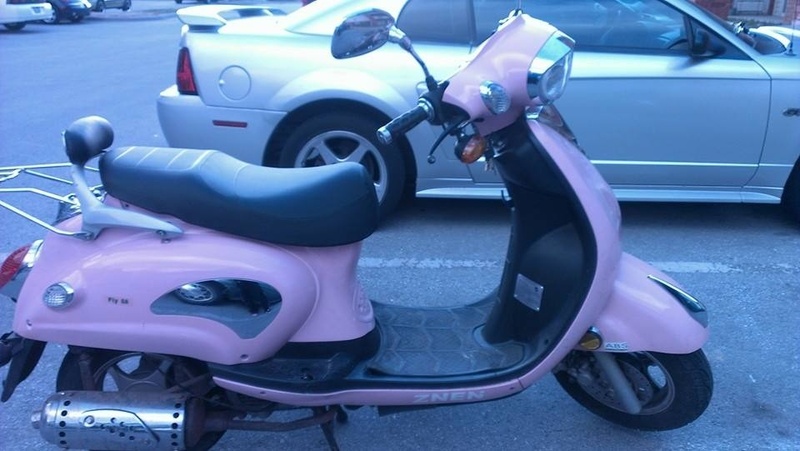 It was stolen from the walmart parking lot. It has a broken mirror and loose starter. It has a blown headlight. 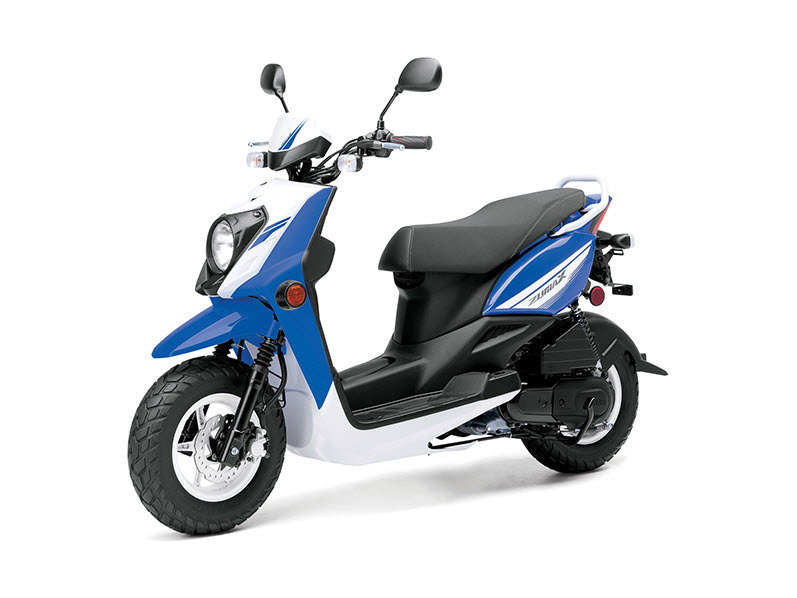 It is a small scooter. Cut padlock in broad daylight. < 50 miles on odometer. 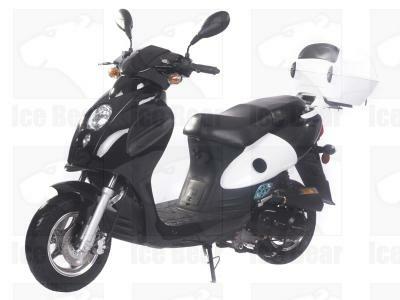 i was keeping the scooter for a freind that is not in the country it was stolen after being locked to my front porch this is the only half sized honda elite 50 in the city ive ever seen I still have the leys and the keys to the lock that was inside it when stolen the pictuires are of the make and model the color is BRIGHT PURPLE!! REWARD!!!! Parked on street Monte Cresta Ave. between Linda Ave and Monte Vista Ave. Locked position, looks new. Bike has many cracks and scratches on its body - primarily in the front and on the right side. Was stolen off the street at 59th St.
L9NTEACB2D1033729 VIN # all black gator 2013 dec model. Has a little over 3000 miles on it and did have a sticker that said PEACE on it. 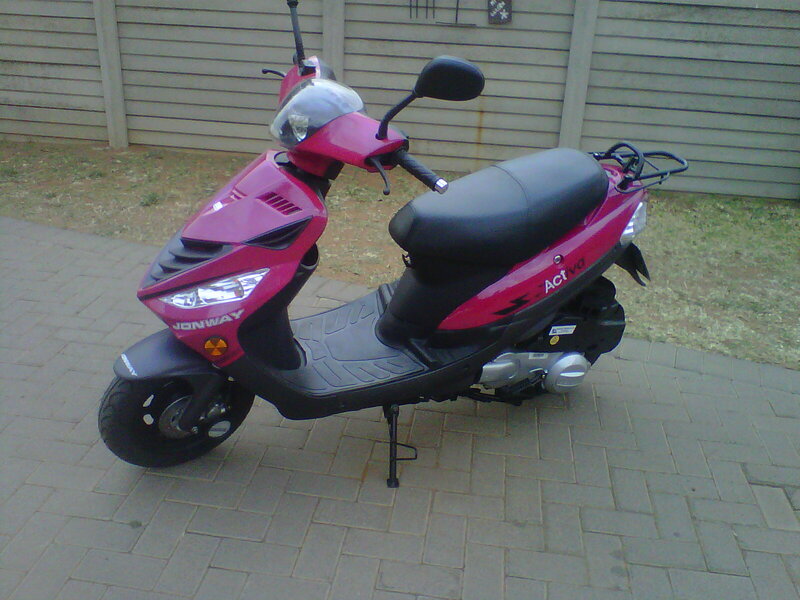 Was stolen at 3 AM, must have been lifted into a truck or van. stolen in Makiki. 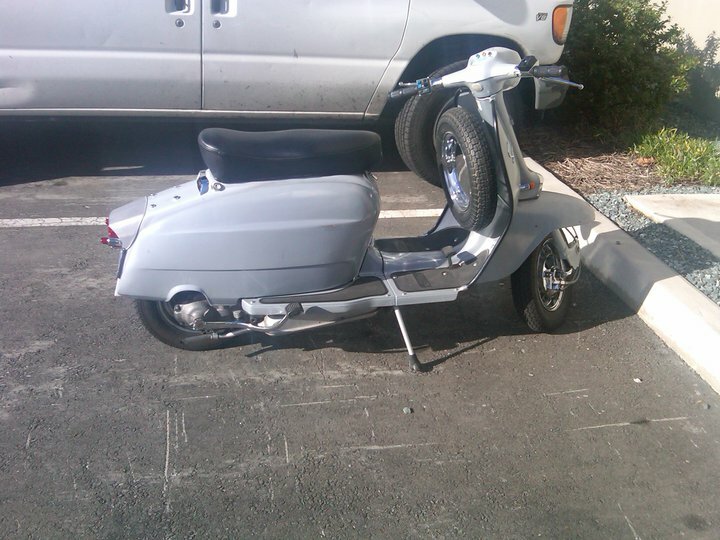 Scooter has box at the back and no left mirror. 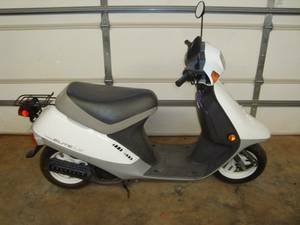 I had my scooter stolen from me when I decided to meet with someone about selling it for cash. 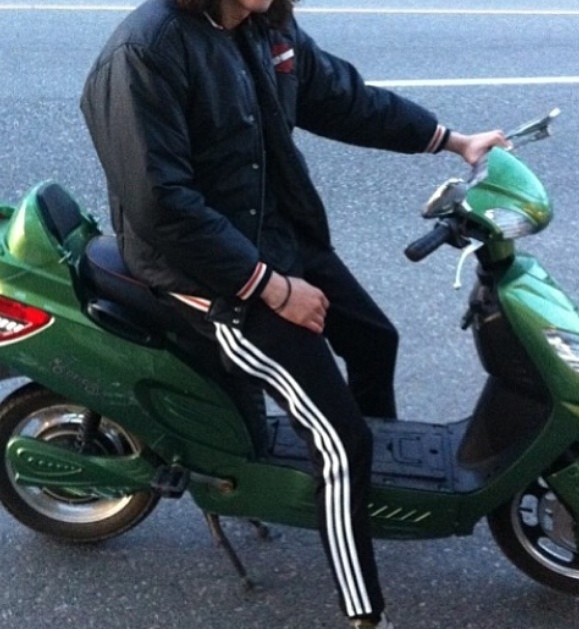 I had let the man test drive it, he took off with it and never came back with the scooter and never gave me the money for it either. Taken from the back lot of my house. American flag NC sticker on back; crack in the front of head light. It has a broken right side view mirror. Was stolen from in front of my apartment, wasn't running at the moment, I was working on it. University of Arizona decal on the front, and eagle sticker and Tiger'sLaw stickers on the back veering. Also back tire has red rim, it was my only mode of transport, not worth much, but important to me, please help! The scooter is a Future Champion VIP scooter. It was originally red with grey trimmings, but the grey was painted black. The right brake lever, left-rear turn signal are damaged, and the left side has wide scratches from when I crashed. 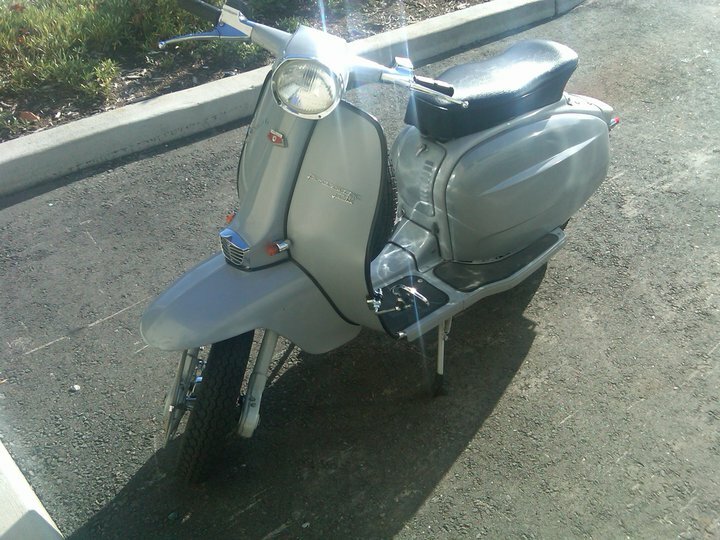 Scooter has a blue white and copper striped seat cover on and has a blue seat under that. 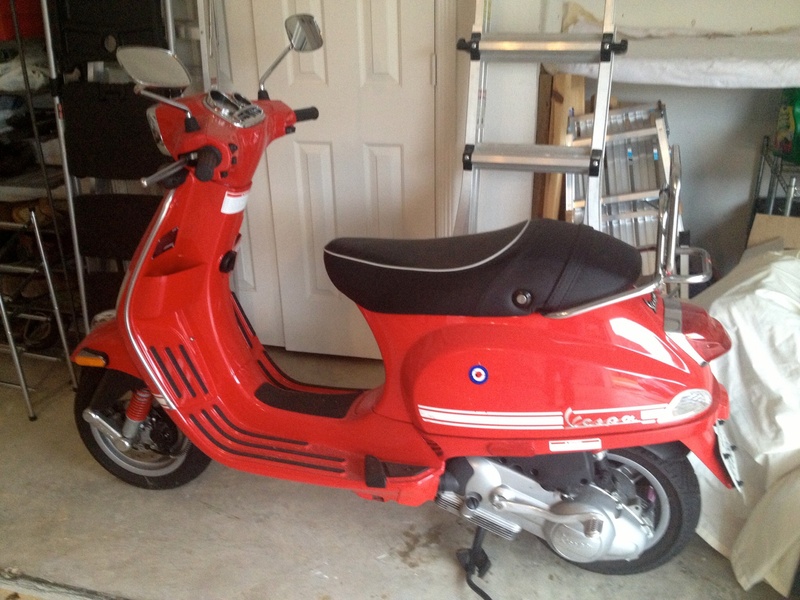 Also had a blue motorcycle cover on padlocked to the right side, so might still have padlock on it.